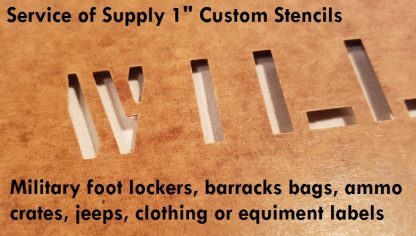 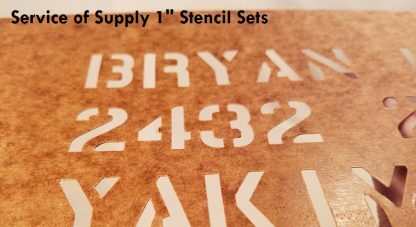 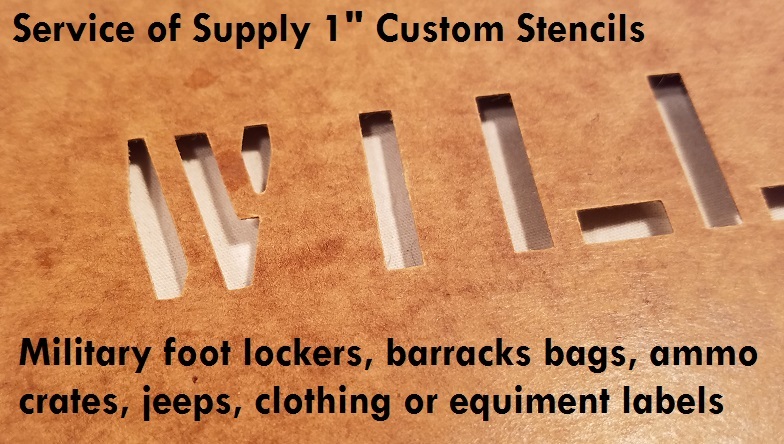 Military style 1″ stencils. 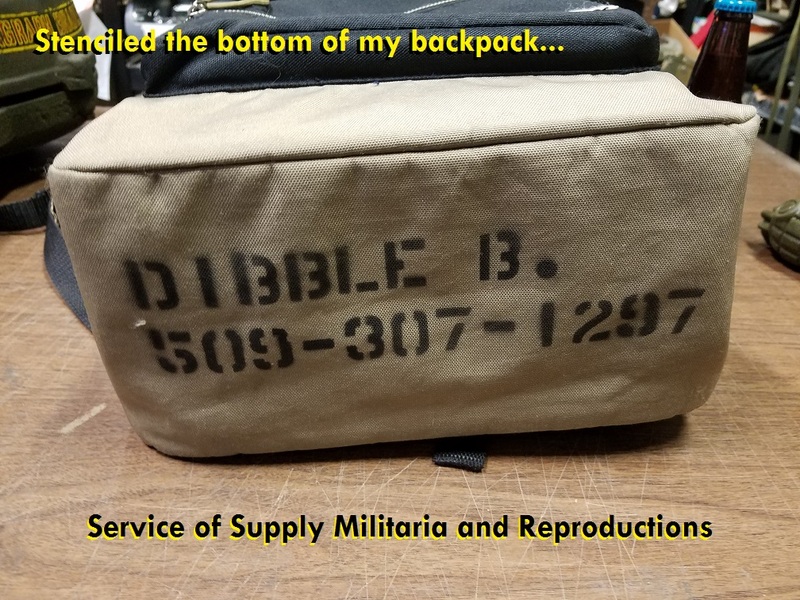 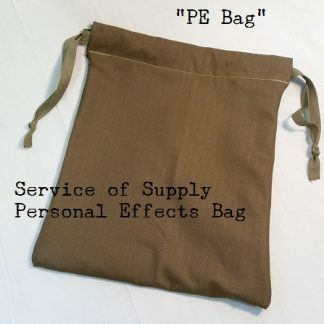 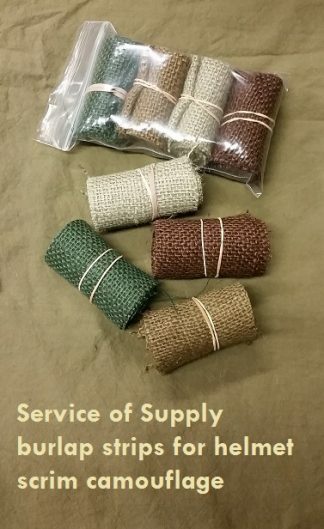 Customize your barracks bag, reenacting gear, paint up ammo crates, you name it. 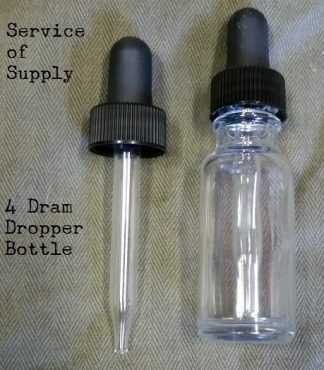 Great for so many things. 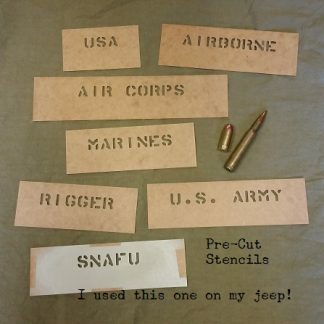 These stencils are exactly what soldiers used from WWII to modern times to tag their stuff. 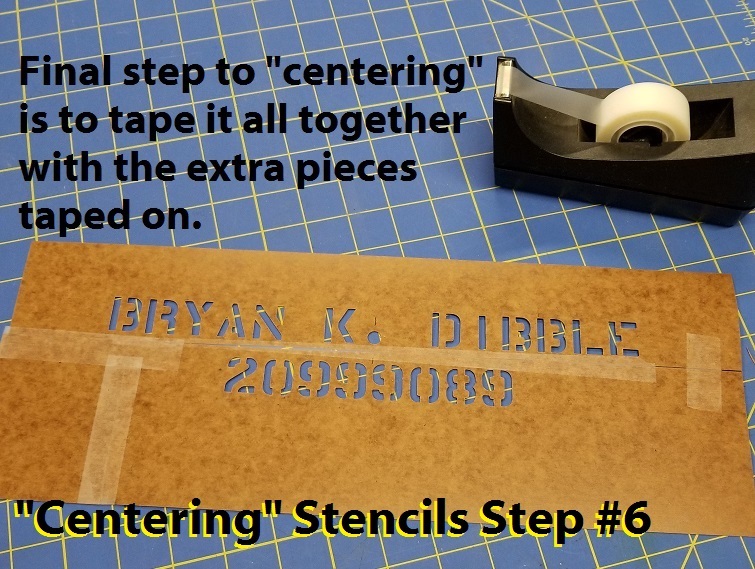 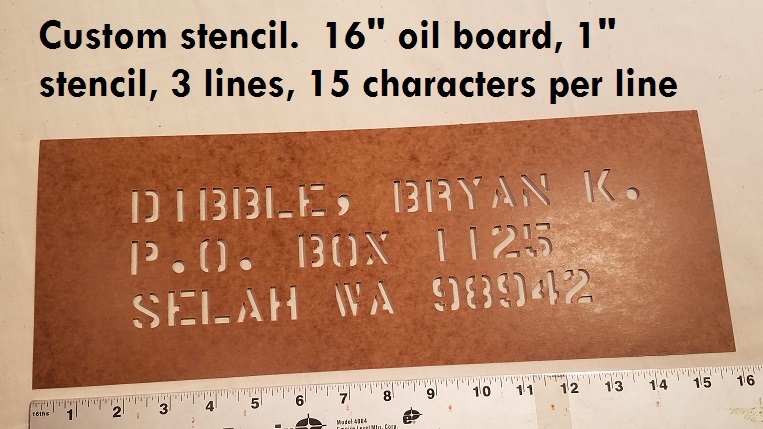 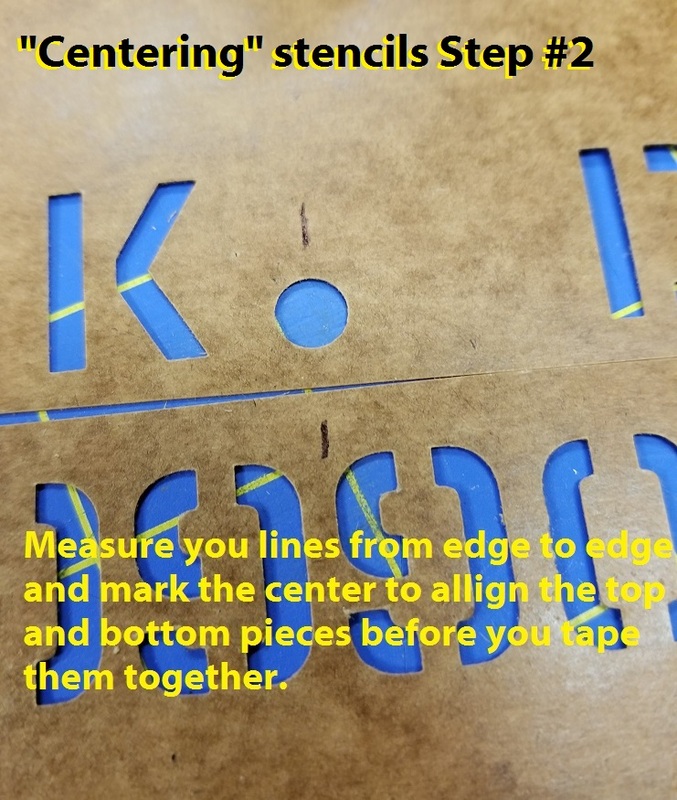 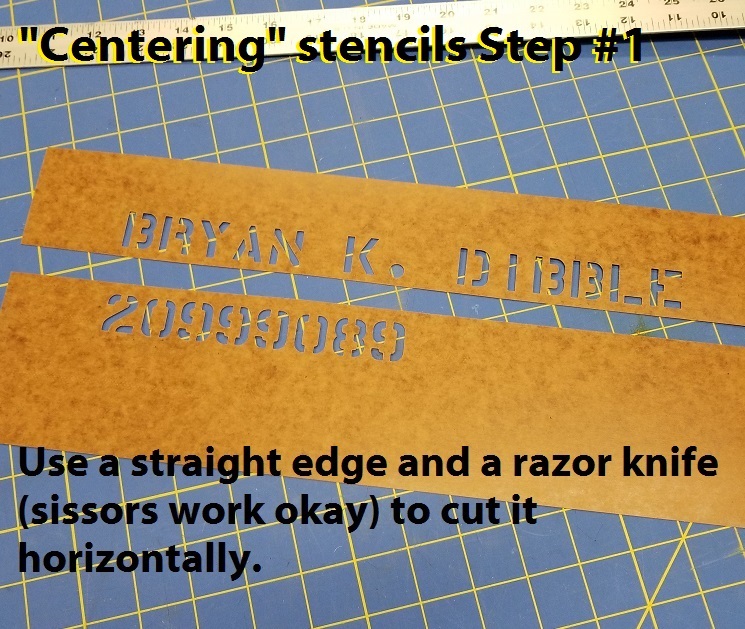 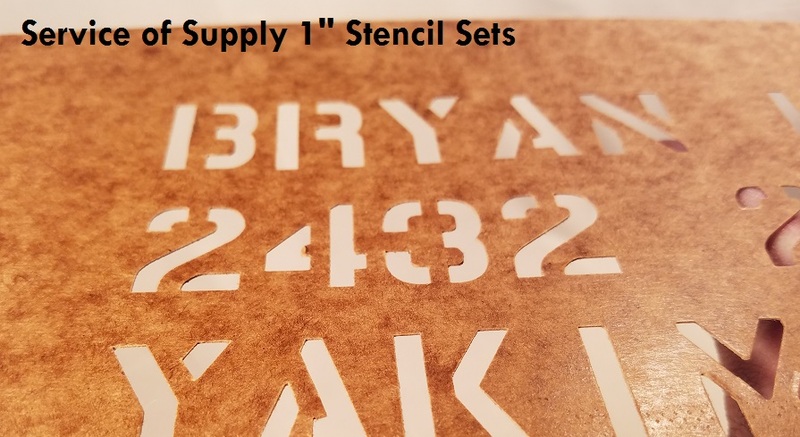 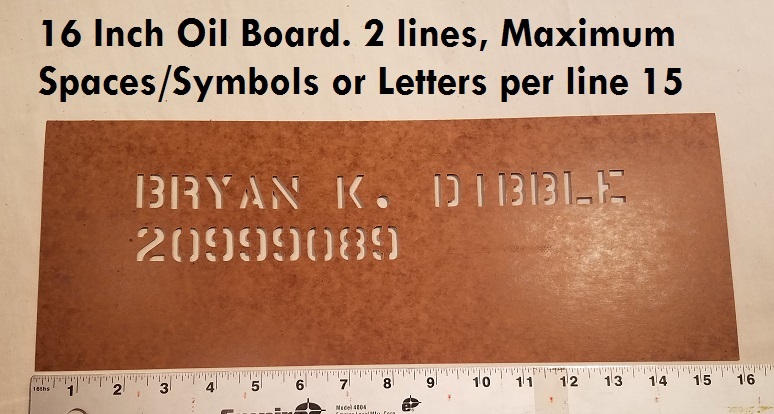 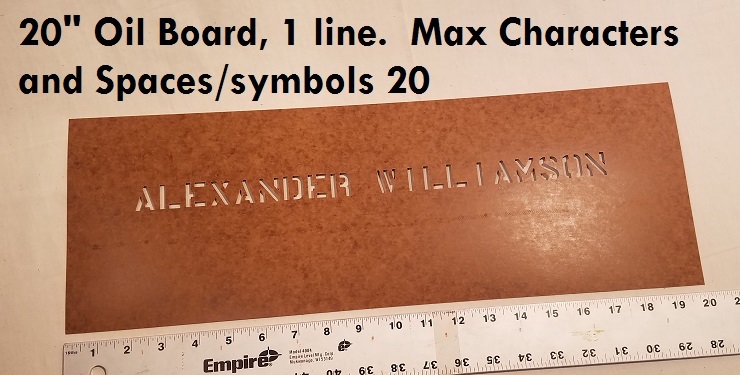 The “One Inch” stencils are precisely 13/16″. Oil board stencils can be used over and over again. 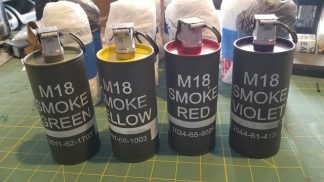 You can daub ink, or use spray paint. 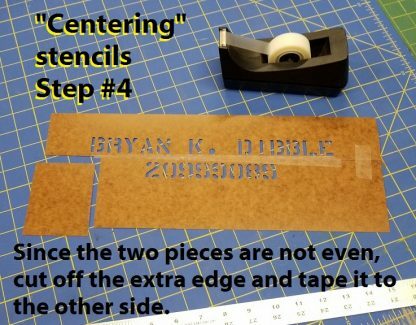 Note about “centering” the lines. Due to the way the machine grabs the oil board, there is no easy way to center the lines. 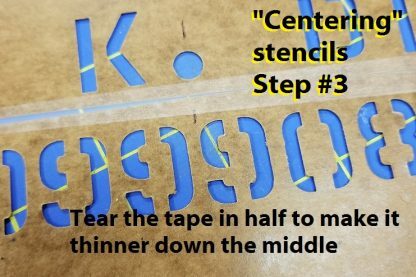 What we recommend it you cut the lines, then center them, and tape the board back together (See pictures for steps). It works nicely, then you can customize your stencil to fit your needs. 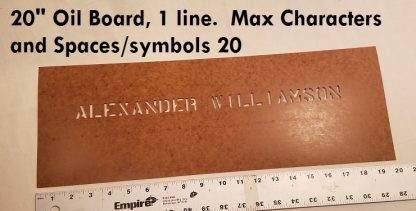 16″ oil board max characters/spaces 15. 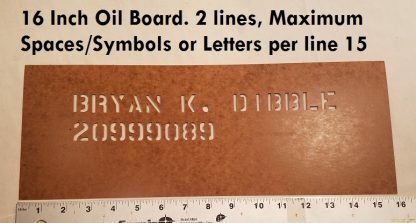 20″ oil board max characters/spaces 20. 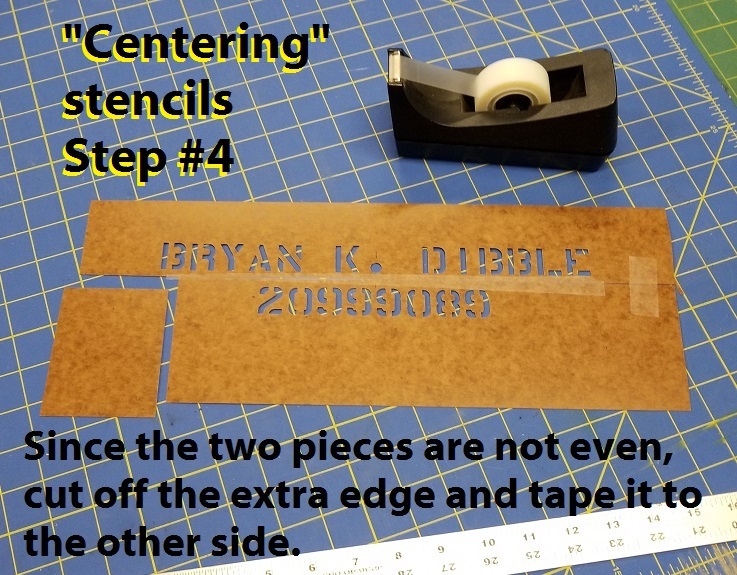 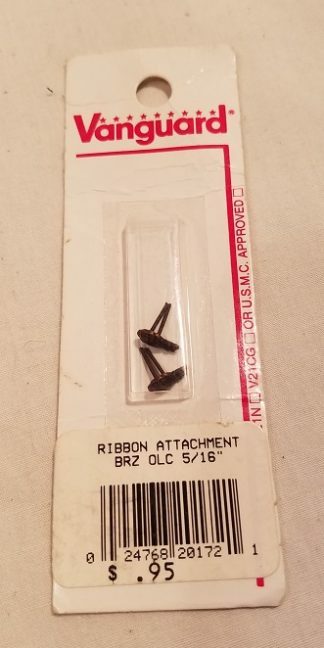 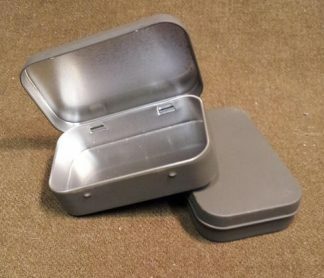 These are shipped flat with cardboard to protect them from bending. 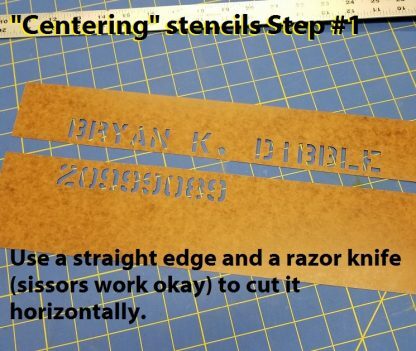 Type in the words, spaces, and characters you want on your stencil. 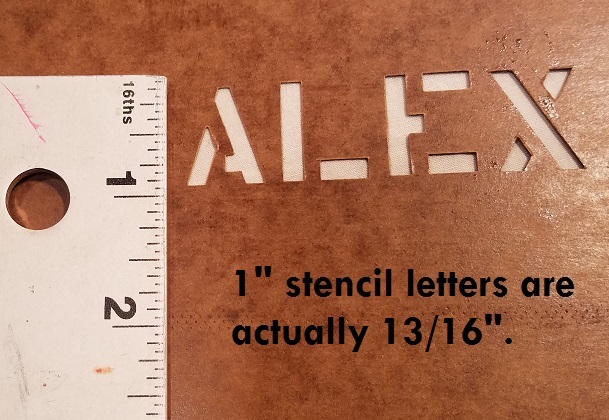 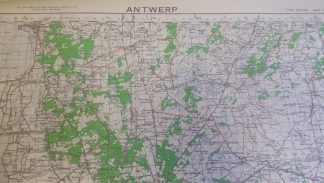 Separate lines using “/” symbol. 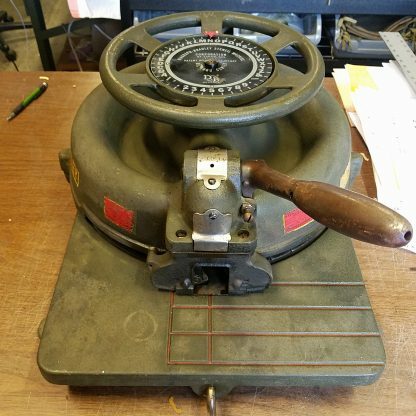 We have periods, commas, dashes and apostrophes. 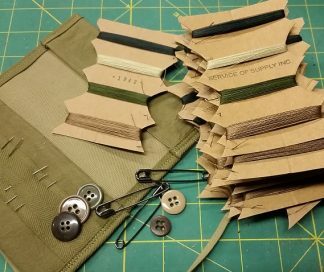 Excellent quality and attention to detail! 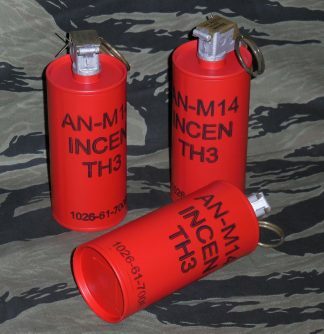 Grenade, AN-M14 Incendiary TH3, Dummy Grenade Ribbon Attachment, Bronze, Oak Leaf Clusters 5/16"